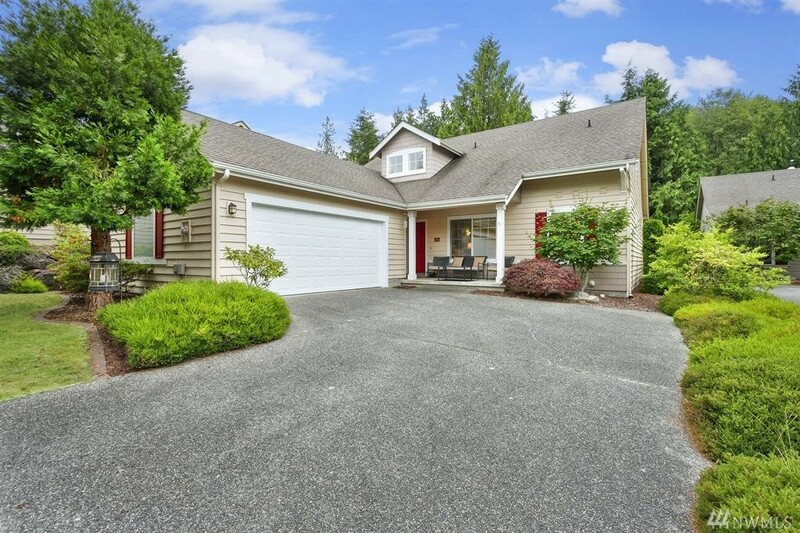 Light & bright spacious Timberton Village home on quiet cul-de-sac. Open floor plan with vaulted ceilings, skylights and large windows make an enchanting great room perfect for entertaining. The main level features 2 master bedrooms w/ private baths. Upstairs has an extra bedroom, full bath & open den/ office overlooking downstairs great room.